Want BAD to bring your business to the attention of thousands of amazing fans? Contact sponsorship@bayareaderby.com. 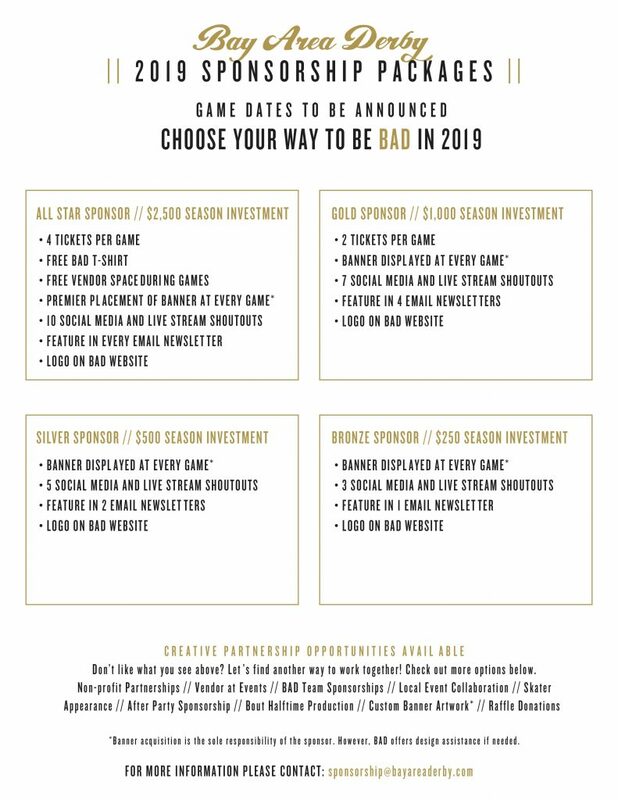 We are currently looking for sponsors for our 2019 season! Your ad will be seen by thousands of people monthly, and can link to your website. Interested? 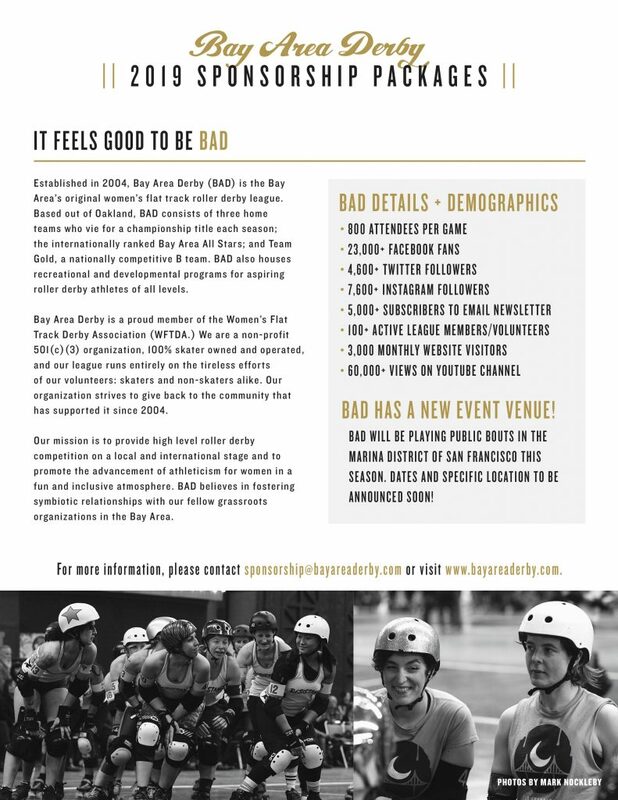 Contact sponsorship@bayareaderby.com for more details.